Chart of the Week: Have Thai banks' credit costs peaked? Credit costs have been on a steep uptrend in the past four years. 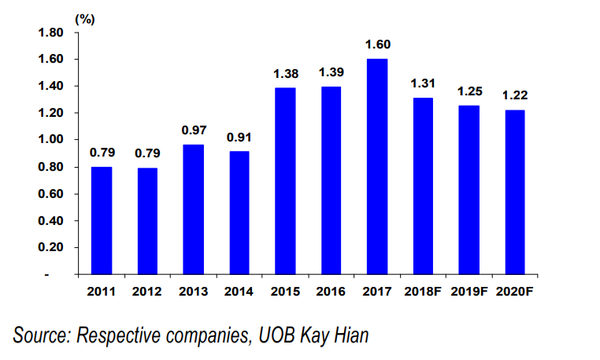 The credit costs of Thai banks have likely hit their peak after a steep four-year uptrend to cope with a surge in nonperforming loans and buffer against higher provisioning requirements laid out by the IFRS9, according to UOB Kay Hian. “In our view, NPLs have peaked and will likely support profits through lower loan loss provisions. Given that NPLs typically lag economic performance by 18-24 months, we believe that the rate of NPL formation will likely decrease in the coming quarters as the economic recovery that began in 2016 begins to feed through,” BMI Research said in an earlier report. As such, credit costs are likely to continue tapering off in the coming months after falling to 140bp in Q1 and 132bp in Q2 from 179bp in Q4 2017. 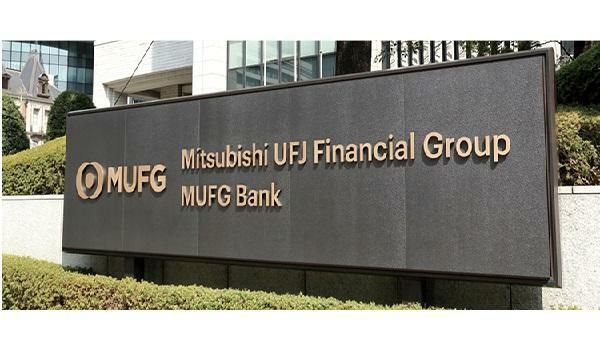 "With an improved NPL situation and a reasonably high coverage ratio for IFRS9, loan loss impairments should have already peaked in 2017 and we expect them to fall in 2018," analyst Thananchai Jittanoon said in a statement. "For the year, we forecast credit costs to drop to 131bp from 2017's 160bp." BBL has guided for lower loan loss impairments of about $609.75m (Bt20b) in 2018 (2017: $679.71m) whilst KBANK has reaffirmed its credit cost guidance of up to 185bp for 2018 (2017: 232bp). 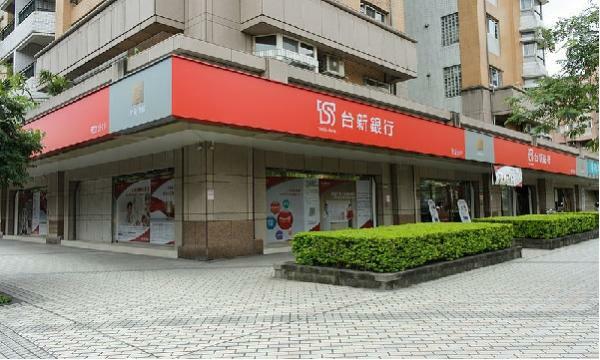 SCB cut its provisions to a normalised level of about $152.4m (Bt5b) per quarter in 1H18, down from about $228.6m (Bt7.5b) per quarter in 2H17. Against falling credit costs and improving loan outlook, Jittanoon expects bank earnings to rally by nearly 10% by end-2018, which should also boost ROE to 12% in 2019.